Chuck-a-Puck is Back for 2018! 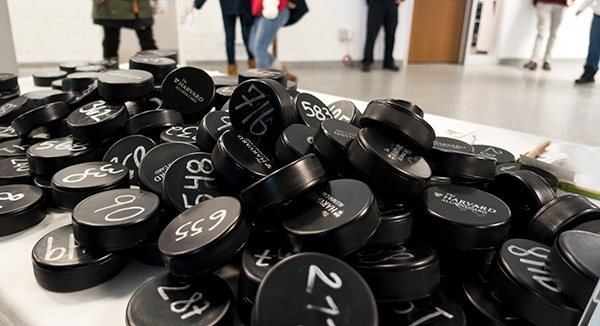 Chuck-a-Puck is back for the 2017-2018 Harvard hockey season. During select games, fans will have the opportunity to throw a puck towards the center of the ice for a chance to win $100*! *Winner is chosen based on which puck is closest to the center of the ice.